Over the past couple of months, Donald Trump has sought to change America’s security commitments (most notably NATO) and trade agreements (most notably NAFTA) to better serve his view of American interests. Looking at these arrangements in isolation while imagining the U.S. to be a country like any other, it would appear that the U.S., by shouldering more than its share of NATO’s costs and tolerating decades of trade deficits, has been getting a raw deal. However, American military leadership depends upon global dollar dominance which in turn demands persistent trade deficits. These are the three essential aspects of America’s global empire. If you remove one, you threaten the survival of the other two and the continued existence of the American empire itself. 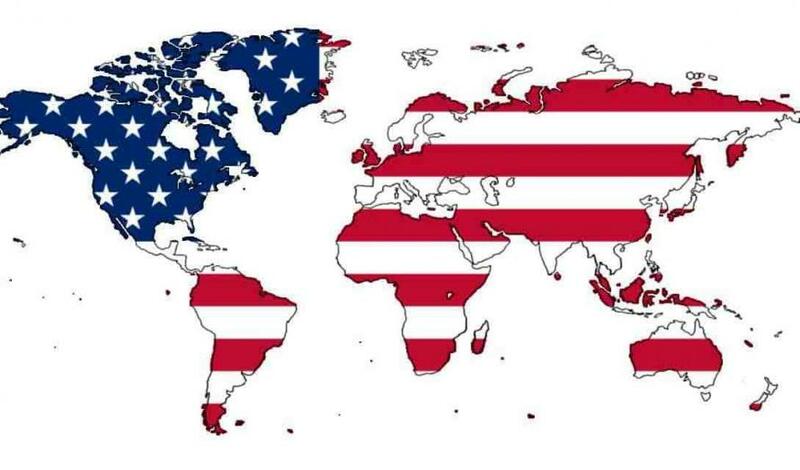 The American empire is, in the words of John Perkins, the author of the books “Confessions of an Economic Hit Man” and “The Secret History of the American Empire,” the first truly global empire, and the first empire based on indirect economic rather than direct military power. However, it nonetheless resembles every empire the earth has ever known in its basic structure. Empires such as the Roman Empire exhibit certain features which often, at least in the beginning, improve the lives of their subjects. First, imperial armies both keep the peace internally and defend against foreign invasion. Second, conquered nations are compelled to accept and use the empire’s money. Third, peace and stability and the use of a common currency cause trade to flourish. Finally, this increase in trade and economic activity in general permits the empire to collect the taxes and tribute payments necessary to pay for the imperial armies upon which the empire’s security depends. Comparing the current American empire to earlier empires, we can see that the first three features of empire are present. First, American military power is deployed worldwide; 170 000 active-duty servicemen currently serve in 150 nations outside of the United States in support of its obligations under NATO and other alliances. Second, the U.S. dollar is the world’s money. As noted economics commentator Jim Rickards put it recently in his article “The U.S Dollar: A Victim Of Its Own Success,” the dollar is used for about 60% of global foreign currency reserves, 80% of global payments and almost 100% of global oil transactions. Third, since the end of WWII global trade and global prosperity have expanded enormously under the protection of American arms and under the guidance of dollar-based American-led international economic institutions such as the World Trade Organization and International Monetary Fund. However, while the Romans could finance their armies by levying taxes on the growing trade of their empire, the U.S. is not able to do so as it does not actually govern the nations it dominates. However, the worldwide use of the U.S. dollar does allow America to gather the wealth needed to fund its military in a manner reminiscent of the tribute payments commonly paid by nations dominated by the ancient Near Eastern empires of the Assyrians, Babylonians and Persians. As other nations need U.S. dollars to buy oil and other imports, they also need to hold U.S. dollars as foreign currency reserves. The simplest way to acquire dollars is to sell goods and services to the U.S. while accepting dollars (which will never be used to purchase American goods) in payment. Looking at the flow of goods and services, we can easily detect a pattern of tributary states sending treasure to the imperial power. Oil from the Middle East, electronics and apparel from East Asia, minerals from Africa, tropical fruits from Latin America and automobiles and automobile parts from Canada, Mexico and the E.U. all flow into the U.S. from around the world in exchange for dollars which will henceforth be used only outside the U.S. As I wrote in a previous column, the U.S. is the only country in the world able to write cheques (issue dollars) which will never be cashed (used to purchase American goods and services). However, when examined through the lens of national accounts these flows of goods and services are identified as trade deficits. To Trump and many of his supporters, these persistent trade deficits have caused the de-industrialization of America and the elimination of millions of American manufacturing jobs. To bring these jobs back, Trump is determined to renegotiate America’s trade deals to try to bring America’s trade accounts back into balance. As an imperial power and as the issuer of the world’s reserve currency, though, America can never have a balanced trade account. This dilemma was first noted by the Belgian economist Robert Triffin in the 1960s. If America’s trade account was in balance, foreigners would not be able to access the additional dollars needed to purchase imports from one another and to hold as reserves. Without reliable access to dollars, global trade would become very difficult as 80% of global payments are made in dollars. Were global trade to collapse, so too would global prosperity. Finally, without the tribute payments represented by its persistent trade deficits, how could America continue to fund its military commitments? Fundamentally, Trump seemingly wants to jettison some aspects of American empire while holding on to others, but the problem is that empire is a package deal. It is simply not possible for the U.S. to eliminate its trade deficits without also giving up the benefits which flow to the U.S. (and to the rest of the world) from the dollar’s acceptance as the world’s reserve currency. Meanwhile, other countries who understand the damage Trump’s incompatible aims may inflict on global trade and prosperity are busy constructing alternatives to the U.S. dollar for international payments and reserves. Most notably, the Chinese are busy giving their currency, the Yuan, a greater international presence. However, aware of Triffin’s dilemma, China does not want the Yuan to become a global reserve currency. Instead, according to Jim Rickards’ recent article, they appear to be working with the Russians, the Iranians and other countries to create a system where trade is conducted and balances are recorded using some form of distributed ledger technology (similar to Bitcoin), with any net balances settled in gold (the original global reserve currency) at the end of each quarter. Alternatively, the International Monetary Fund is also working to create a cryptocurrency version of their existing reserve currency (called the ‘Special Drawing Right’ or SDR) which could similarly be used to denominate, record and settle international trade. Whichever trade settlement system ends up being adopted, the writing appears to be on the wall for the U.S. dollar as the world’s reserve currency. When foreign dollar holders begin seeing dollars becoming either unavailable or less useful for trade, they will not want to hold them as reserves. If they begin to dump them to buy gold or SDRs, the dollar’s value will collapse against other currencies. If, as a consequence, foreigners become unwilling to accept payment in dollars that are fast losing their value, the American government will no longer be able to afford a global military presence. The resulting economic and geopolitical uncertainty will undoubtedly disrupt world trade, threatening both global prosperity and security. On the plus side, though, America’s trade accounts will once again be in balance as Americans holding newly-depreciated dollars will no longer be able to afford foreign goods even as American goods produced with now-cheaper American resources will find ready buyers abroad. All in all, it would probably be better for everyone involved to continue to tolerate persistent American trade deficits.